Amazon headquarters in Seattle. Amazon said it now plans to “dive deeper” into finalist cities — studying their talent pools, potential sites, and other factors — before picking a winner for its second headquarters later this year. State and local officials had their first conversation with Amazon’s HQ2 real estate team Tuesday, as they try to divine what the online retail giant wants in a second headquarters. Economic development officials who are working on the local bid got on the phone with Amazon’s site selection team to talk through next steps as the company moves closer to choosing one city as the site of 50,000-job campus that will serve as its second home. Greater Boston — specifically, Boston and Somerville — was among 17 metro areas across North America that Amazon last week listed as finalists for the project. Officials who were on the call with Amazon declined to comment on what was said or didn’t return messages Tuesday afternoon. But the talk signals the start of a new, more intense phase of a process that began in September and will likely stretch on for months. Amazon said it now plans to “dive deeper” into finalist cities — studying their talent pools, potential sites, and other factors — before picking a winner later this year. Local leaders are weighing whether, and how, they might tweak the region’s pitch to Amazon, which leans heavily on the region’s universities and highly educated workforce, while being flexible about specific locations for the campus. Amazon has released a short list of 20 cities that it will consider for its second headquarters, including Boston. Boston offered up the Suffolk Downs racetrack in East Boston as the simplest potential site but named several other spots around the city that also could work. Somerville suggested a sprinkling of locations along the MBTA’s Orange Line, from Assembly Row to North Station. Neither city nor the state has said much about what kinds of subsidies it might offer Amazon — in contrast with other locales that already have promised multi-billion-dollar incentive packages. Officials are expected to sharpen the details of the Boston-area pitch in coming weeks, based on feedback from Amazon. But in the last week, Amazon has begun to drop hints. The finalist list skews toward the East Coast, with a majority of cities in the Eastern Time Zone, and it doesn’t shy away from costly coastal markets like Boston, New York, and Washington, D.C. The company has told officials in several cities — including Detroit and Charlotte, N.C., according to published reports — that their regions lack the deep bench of tech-industry talent Amazon believes it needs to keep growing. 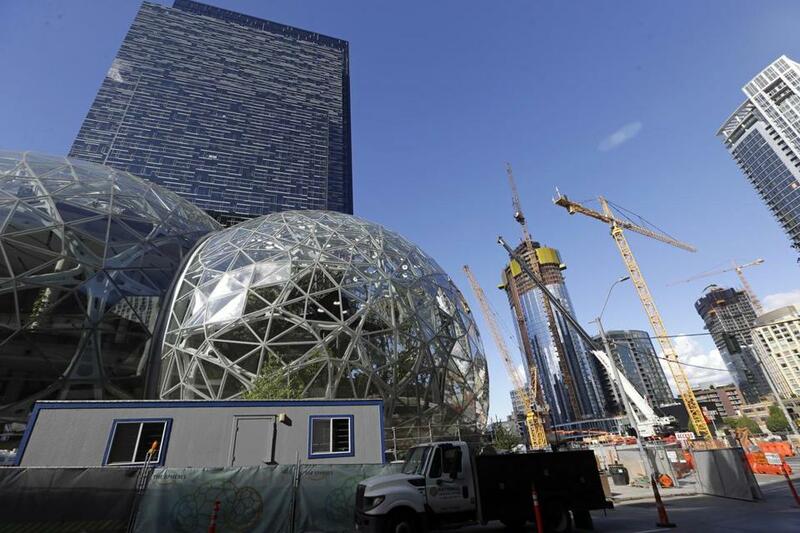 John Schoettler, the company’s real estate chief, told a gathering of business leaders in Seattle Friday that Amazon is looking for an urban campus not unlike the one it has built near downtown Seattle over the last 20 years. That vague outline could complicate some of the more sprawling ideas that have been floated for a Boston Amazon campus — such as sites along multiple MBTA stops, for instance, or one stretched a mile or more across the Seaport. 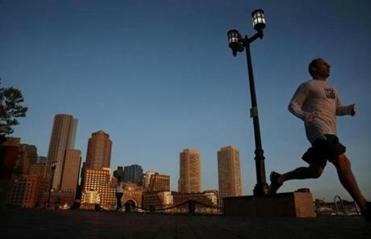 And it highlights two key issues Boston will have to address. The high cost of housing is widely seen as a weakness in Boston’s bid, perhaps the biggest flaw relative to other major cities such as Philadelphia and Atlanta, where Amazon workers could get far more home for their money. But Boston is ahead of schedule on its plans to add 53,000 units of housing by 2030, and Mayor Martin J. Walsh has signaled he may soon increase that target. In addition, Governor Charlie Baker recently rolled out a plan to add 135,000 housing units statewide in the next eight years. When it comes to transportation, the prospect of Amazon at Suffolk Downs has revived long-dormant talk about connecting the MBTA’s Blue and Red lines, while other potential sites — from the Seaport to Somerville — could spark transit investment in new parts of town. Wherever Amazon targets, luring it will take a regional effort, say developers with sites in the mix. Don Briggs, executive vice president of development at Federal Realty, agrees. He’s building Assembly Row in Somerville, a location with 1.5 million square feet of potential office space. It’s a key piece of that city’s bid, which actually stretches across Somerville, Cambridge, and Boston. While those municipal borders might mean a lot to locals, he said, it’s doubtful anyone in Seattle will give them much thought when deciding where to put HQ2. Shirley Leung of the Globe staff contributed to this report. Tim Logan can be reached at tim.logan@globe.com. Follow him on Twitter at @bytimlogan.